It’s easy to think of a tax refund as getting back “mad money” to blow on fun stuff and little (or big) extravagances. But used wisely, this year’s windfall could contribute to improving your financial well-being and advancing a more secure future—the greatest payoff of all! Here are some tips to follow. Reduce what you owe. Using at least some of that refund money to reduce debt–whether it’s on credit cards, mortgage, student loans or car payments–can help you reduce your interest. Aim to pay the debt with the highest interest rate first. For more tips on how to improve your credit, click here! Sock it away for a rainy day. A sudden job loss, medical emergency or any other unexpected expense could turn into a financial disaster without at least a little monetary cushion to fall back on. Experts recommend 3 months’ salary to stash away in an emergency fund. But if you aren’t anywhere near that goal, putting away any dollar amount from your refund is a good way to help you get there over time. Contribute to your retirement account. No matter your age, the earlier you start to plan for your senior years when you no longer work, the better. While you may not be able to add your tax refund to a 401(k), there are other options. Individual retirement accounts, or IRAs, allow you to save and invest money for retirement on your own. Learn more about IRAs here. Add to your kid’s college fund. 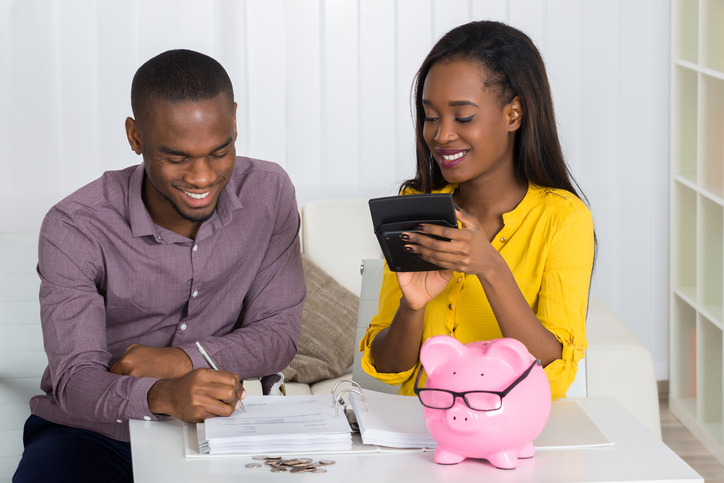 Just as with saving for your future retirement, for parents who want to help their children pay for college, the earlier you can start putting money away in an account, the better. Getting a refund is an ideal time to set up a savings account for college. Learn more about college savings plans here. Stash it away for that big purchase. Is a new car, appliance or home repair on the horizon? Even if you have to pay a portion of the item with a credit card or loan, having set aside savings for the item beforehand can help keep the interest down, allowing you to more easily pay off the purchase. Invest in yourself. Is there a class, workshop, webinar or certification that could help you to advance your career and possibly earn you more money? If so, it may be in your interest to sign up while you have the funds to pay for it. Financial planners can help you reach your savings and retirement goals as well as help you achieve financial stability. Learn more about what to look for when choosing a financial planner here. If you are a Health Advocate with access to our EAP+Work/Life service, call us! We can connect you with a financial expert and direct you to other helpful resources—including the member website for a full range of online resources—to help you reach and maintain financial wellness. Are you getting the right kinds of exercise?